Friday January 4th at around 10pm, good friend of good beer The Garrison District Ale House (and sister bar Up Wine Bar) in Fredericton, NB was severely damaged by fire. It appears that it was caused by an electrical issue in a wall. The Fredericton Fire Department spent 6 hours working to contain and extinguish it, and thankfully all patrons and staff made it out safely. For those that don’t know, The Garrison District Ale House is a great advocate for craft beer from around the Atlantic Provinces, as well as country- and world-wide. I’ve been fortunate enough to meet the co-owners Doug and Shane on several occasions while travelling to Fredericton, as well as their very friendly and knowledgeable staff. Fredericton will be without a stellar watering hole for the next couple of months as the GDAH gets back up and running. To assist with staff that are now suddenly out-of-work, there has been a Facebook group created by friends of the GDAH. Fundraiser for Garrison Staff already has over one thousand followers, and will have events in the coming weeks to help those affected. One of these will be at the Laundromat Expresso Bar in Moncton this coming Thursday (January 10th). Keep your eyes peeled here, on Facebook, or at their Twitter page for more details. We hope to do a profile of the GDAH once they are on their road to recovery. The Picaroon’s Brewtique is located immediately beside the Ale House, but was able to open after a clean up from water and smoke. 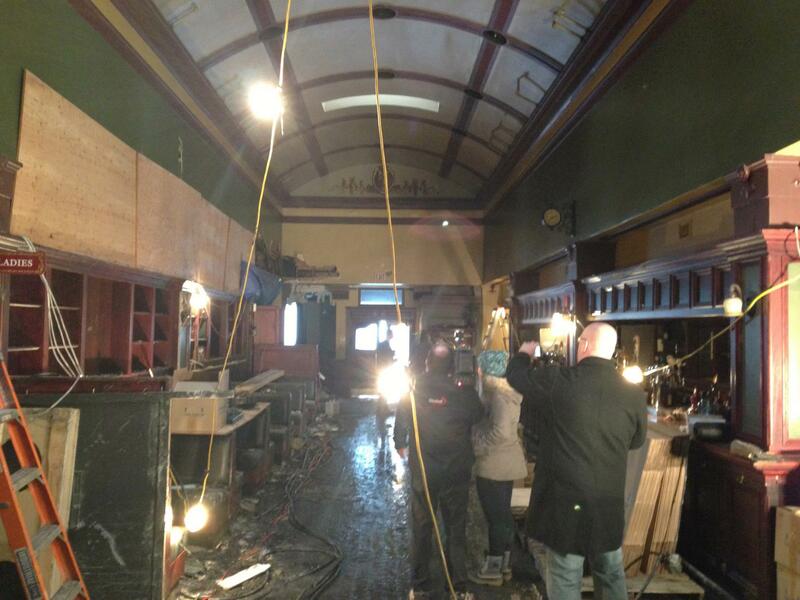 From all of us at the Atlantic Canada Beer Blog, we hope for a speedy re-opening to the Garrison District Ale House! Pictures are from the Fundraiser for Garrison Staff Facebook Page.